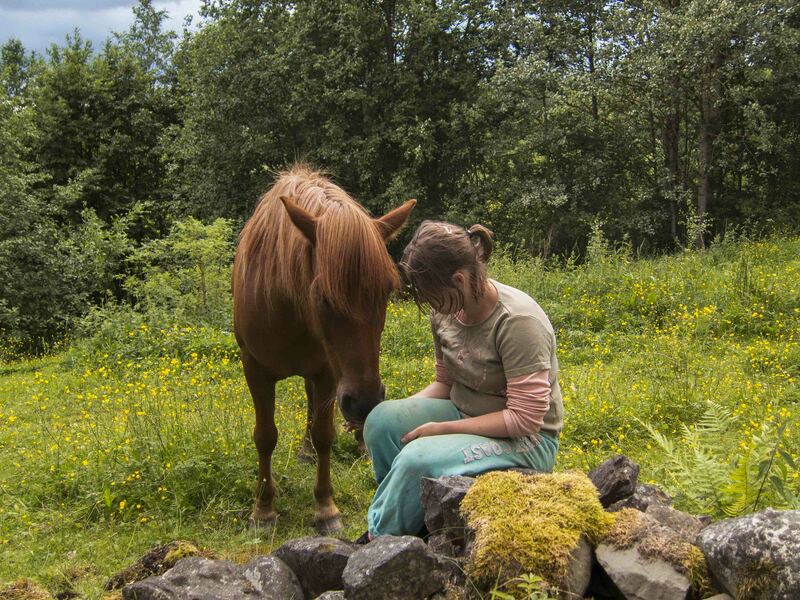 Production of herbs, raising horses, giving courses in horsemanship. 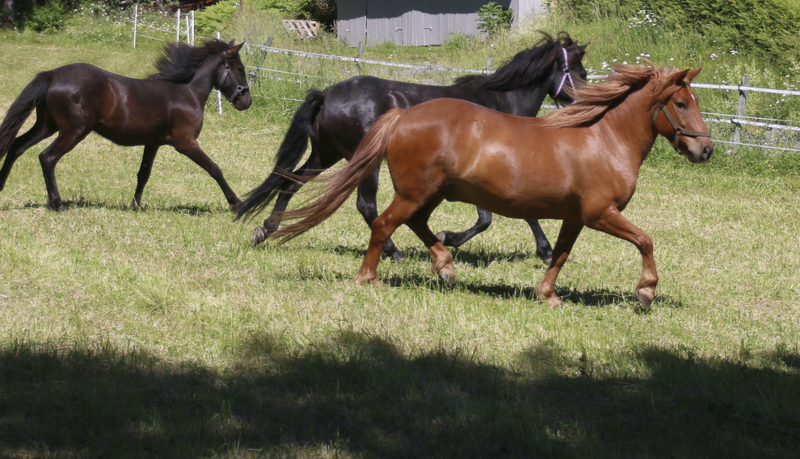 Our horses are of an old Norwegian breed: Nordland horse, also known as the Lyng horse. This is a rather small horse, up to 145 cm, but sturdy and strong – a perfect horse for our courses. 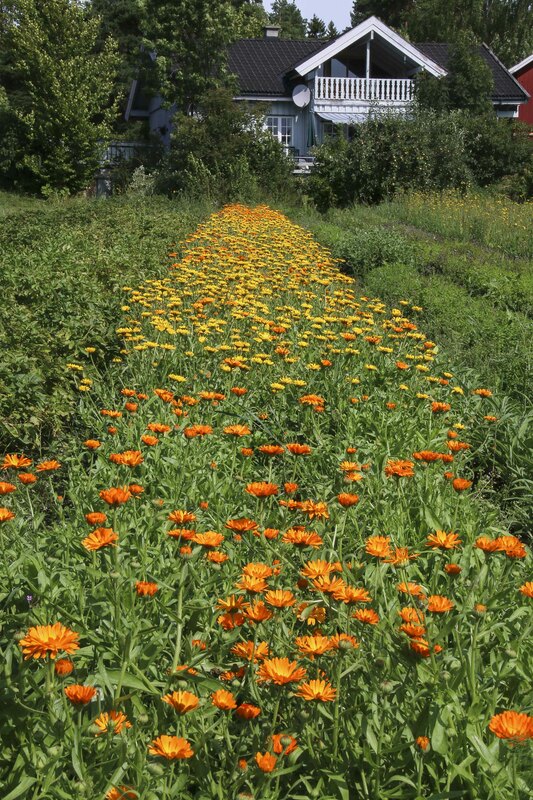 The farm is located 60 km North-west of Oslo, in the northern end of lake Steinsfjorden. 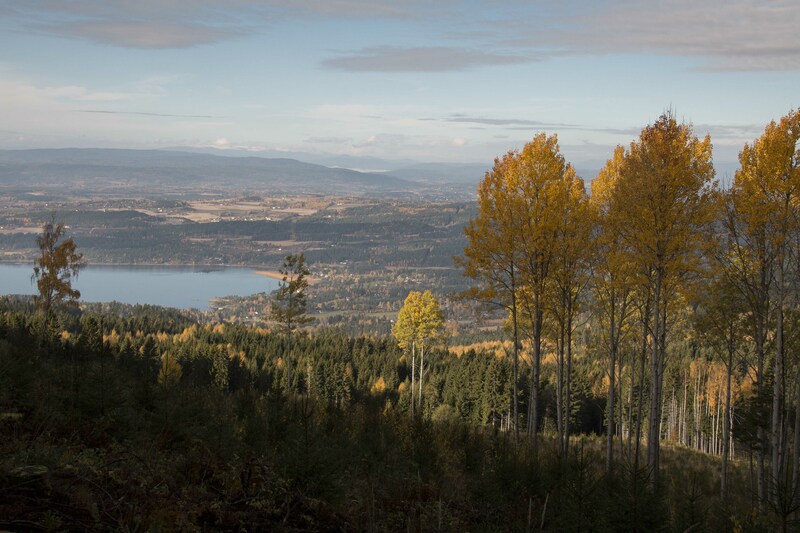 Directly out from the farm, numerous hiking and riding trails take us to magnificent forest areas, presenting a bautiful view of the surrounding Ringerike area. View of Åsa. Lokkene herb farm is located right in the center of the picture. Courses in basic horsemanship are offered, also regular riding lessons as well as sessions in how to communicate with and take care of your horse. Yarrow is common in most natural pastures. 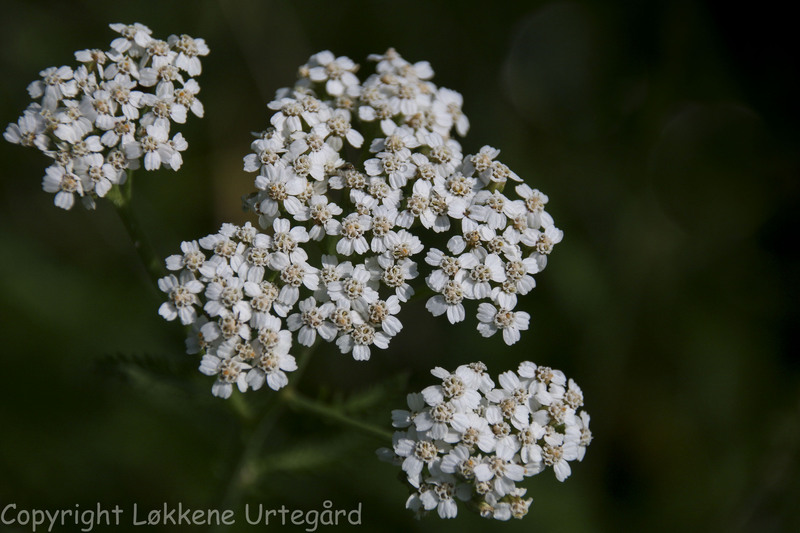 The common yarrow is a most useful herb. It is an astringent and digestive stimulant. It encourages appetite and supports circulation to peripheral blood vessels. It also supports a healthy urinary system and has antiseptic properties. In our natural pastures, yarrow is abundant and the horses readily graze this herb, especially the young plants with juicy, green leaves . In organic farming, dandelion is a well-known phenomena. 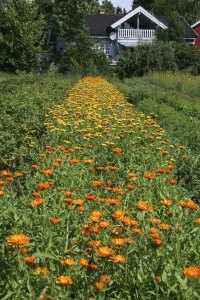 This herb is a strong competitor to grass and clover and is usually regarded as a weed not wanted in the meadows. However, as part of the horses’ diet, it is most welcome. The dandelion is a storehouse of minerals; especially iron, copper and potash. Dandelion also contains more vitamin A and C than most other vegetables and fruit. 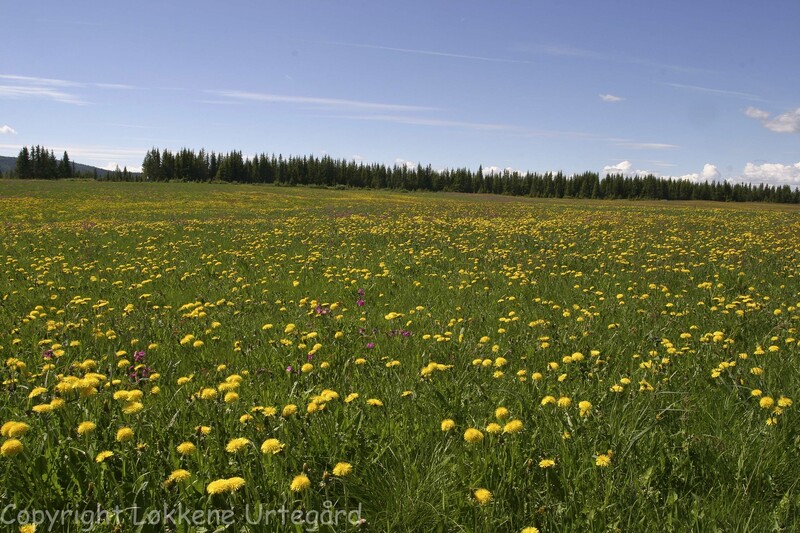 Encourage the dandelion to flourish in your pastures; it is non-poisonous and entirely beneficial.